Wires are not long for this world -- no one wants to be tethered if they don’t have to be. Soon enough, our cell phones and tablets will rely on wireless charging, wireless earbuds will be commonplace, and perhaps even our hi-fi systems will be freed from the shackles of unsightly cords. But audiophiles are stubborn. The notion of progress for many of them is the introduction of a newer model of a component they already own. That’s borderline criminal in a world overflowing with innovation and seriously impressive technology. Time doesn’t comprehend, let alone tolerate, concepts like stubbornness or patience. It marches onward inexorably; the only choice we’re left with is whether to embrace it gracefully, or fight it out until the bitter end. KEF is one of the biggest makers of high-end loudspeakers in the world, and there was little need for them to risk their reputation on a wireless loudspeaker, let alone one named LS50. The LS50 bookshelf speaker is one of the most successful speaker designs of the past 25 years -- even KEF was caught off-guard by its popularity. When the LS50 was launched in 2012, at Munich’s High End show, it had been conceived as a limited edition -- stenciled around the lower curve of its copper-colored Uni-Q coaxial driver were the words “50th Anniversary Model.” But in three months, at $1499 USD per pair, KEF sold more LS50s than they thought they’d sell in the model’s entire first year. Reviewers, including SoundStage! Network founder Doug Schneider, fawned over the LS50, prompting KEF to quietly drop the “50th Anniversary” language and just keep on selling it indefinitely. Enter the LS50W wireless loudspeaker ($2199.99/pair). A labor of love, the LS50W was honed over several years, after careful deliberation about its sound and features. It was vitally important for KEF to retain the magic of the original while making it attractive to those interested only in wireless technology. 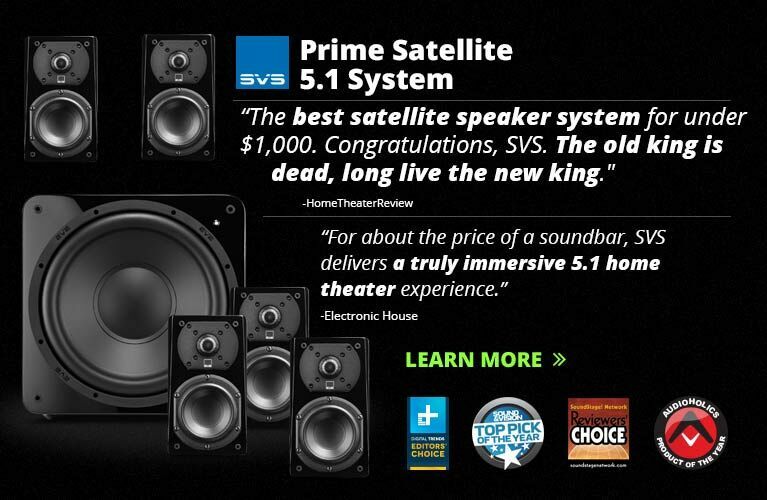 They haven’t messed with success; the LS50W’s Uni-Q driver, front baffle, and overall cabinet design are identical to those of the original, passive LS50. The $700 premium for the wireless edition buys you a cabinet that’s 1.2” deeper, to accommodate the additional electronics: a 30W class-AB amplifier for the vented, 1” aluminum-dome tweeter; a 200W class-D amp for the alloy midrange-bass driver and its 5.25” magnesium-aluminum cone; dual digital-to-analog converters; and dual power supplies -- all for each speaker. 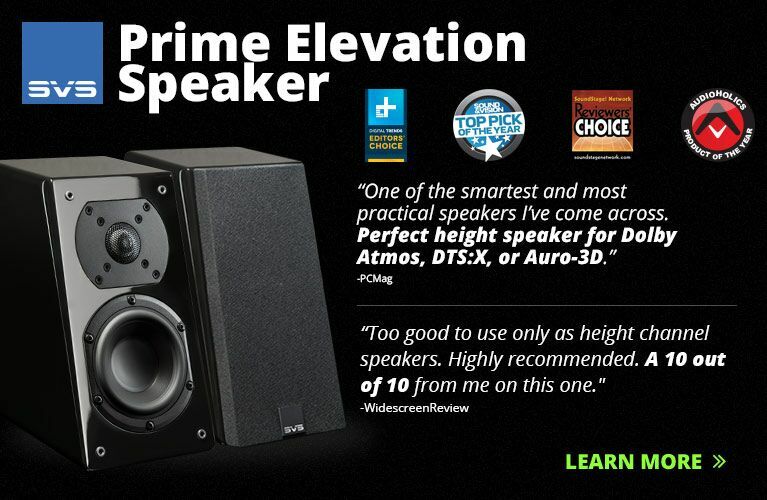 The LS50W measures 11.8”H x 7.9W x 12.1”D; the left or “slave” speaker weighs 22 pounds, the right or “master” speaker 22.5 pounds. Part of the half-pound difference has to do with connectivity and control. On the left speaker’s rear panel are a balance control, IEC power inlet, and Ethernet port; on the back of the right speaker is a bevy of inputs and controls (see below). Below the right speaker’s Uni-Q driver is a small IR port for its remote-control handset, and toward the front of its top panel, a capacitive OLED touchscreen. KEF offers the LS50W in three color combinations: Titanium Grey with Red Uni-Q driver, Gloss Black/Blue, and Gloss White/Copper. I opted for Gloss White/Copper. KEF also sent along a pair of custom LS50 speaker stands ($399/pair), designed specifically for the LS50 and LS50W and also available in Titanium Grey, Gloss Black, and Gloss White. The five-post stands look cool, but I’d opt for whatever affordable stands get the best reviews on Amazon. I’m cheap like that. The review samples were gorgeously appointed. The LS50W’s cabinet felt incredibly well damped, with nothing in the way of resonances or flimsiness. Build tolerances were exceptional; the curved front baffles were perfectly fitted to the rest of each cabinet, with the Uni-Qs situated flush at the center, for optimal soundwave launches with minimal diffraction. The Gloss White finish was flawless, interrupted only on the right speaker, by a lightly stenciled KEF logo at the back of the top panel. While some might find the color combinations a bit loud -- Titanium Grey with Red cone is an acquired taste -- KEF has delivered a superb piece of design executed to perfection. KEF specifies the LS50W as being 85dB efficient when measured at 1m, with a Standard frequency response of 50Hz-28kHz, ±3dB. Also specified are frequency responses of “45Hz-28kHz (More bass extension)” and “61Hz-28kHz (Less bass extension).” Which one you use will depend on where you set the LS50’s adjustable DSP crossover. Replacing the original LS50’s passive with an active crossover lets the user tailor the LS50W’s bass output, depending on where the speakers are placed. Setting them up on a desk or near a wall? Opt for less bass extension so as not to overexcite room modes. Perching them on stands several feet away from any boundary? Think about increasing the bass response so the KEFs don’t sound gutless. Far from a simple tone control, this adjustability in the digital domain lets KEF optimize the speaker’s time alignment, and to synchronize the behaviors of the Uni-Q driver and the built-in amplifiers. It also allows the KEFs to protect themselves by dialing back their bass output when being driven at their specified maximum SPL of 106dB. More important, the LS50Ws are flexible, providing a variety of inputs and outputs. On the rear panel of the right speaker is a USB input that accepts up to 24-bit/192kHz signals, and an optical input that can handle up to 24/96. There’s also aptX Bluetooth, a network Ethernet port, Wi-Fi connectivity with DLNA support, and Spotify Connect support. KEF didn’t bother with DSD or MQA compatibility -- the LS50W speaker is for the other 99%, thank you very much. Apple AirPlay support is conspicuously absent, but my understanding is that certifying AirPlay through Apple can be a hassle. 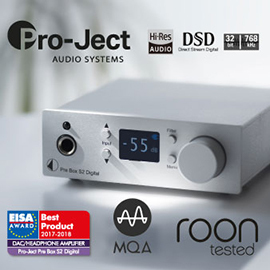 There’s also an RCA analog input, a subwoofer output, a USB Type-A port for firmware updates, buttons for equalizing the speakers’ bass output, a Reset button, a non-networked Ethernet port, and an IEC power inlet. The Ethernet port is a bit of an asterisk in the LS50W’s specs. Although the W in the model name stands for “Wireless,” the left and right speakers must be linked to each other with an Ethernet umbilical (included). Not a deal breaker, but a limitation nonetheless. The KEF LS50Ws come with two power cords, one for each speaker; a 3m-long Ethernet umbilical; a 1m Ethernet LAN cable; and a color-matched remote control. Setting up the LS50Ws was super straightforward. I mounted them on the optional stands about 8’ apart, plugged in the power cables and Ethernet umbilical, and turned the things on. Bluetooth worked well, and, when I briefly wired my MacBook Pro to the KEFs, so did their USB input. I wasn’t able to try the analog input, but KEF boasts that the LS50Ws are turntable-friendly, provided you’re OK with an analog-to-digital-to-analog signal path. I also wired my TV’s optical output to the KEFs for the duration of my time with them. The LS50Ws took up residence on the long wall of my narrow living room, roughly 12” out from the wall. With the Standard bass setting, I found that the LS50Ws excited some of my room’s bass modes, so I set them to “Less bass extension.” This largely eliminated the boominess I initially heard, and yielded more even output from 100Hz down to their stated -3dB point of 61Hz at the “Less” setting. I did almost all of my listening through the Wi-Fi connection, and to get that going I had to download KEF’s iOS app for my Apple iPhone 7 (an Android app is also available). The first version of the app I used was mediocre at best, unusable at worst. Thankfully, the latest version is much better, though there are still problems (see below). The app walks you through linking the LS50Ws to your Wi-Fi network, catalogs songs on your smartphone or tablet, and includes built-in support of Tidal streaming. The app automatically linked my phone’s music from iTunes, and linking my Tidal account was straightforward. I don’t have a DLNA/UPnP media server, and so was unable to test that. Roon functionality has been certified, and will be enabled with a future firmware release. KEF’s app also highlights some of the LS50W’s most useful features. On the fly, while listening, I could adjust the treble response by ±2dB, the bass response by ±3dB, and turn the phase correction off or on. 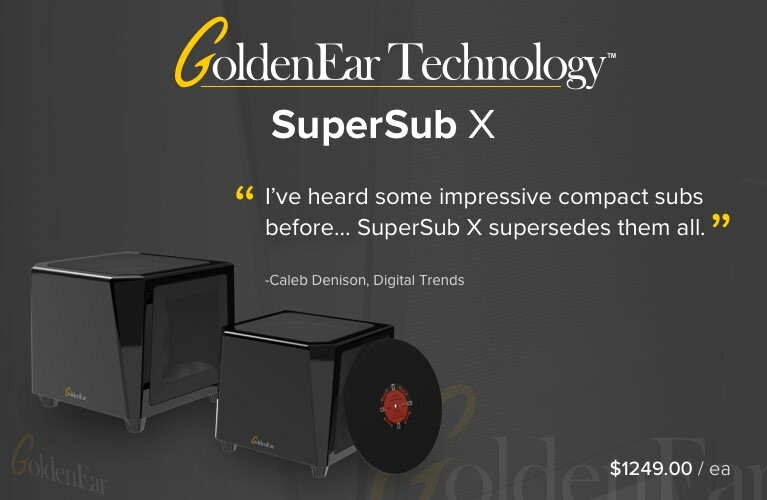 When a subwoofer is in play, it permits enabling of a high-pass mode, low-pass frequency adjustment from 40 to 250Hz, adjustment of sub gain within a range of ±10dB, and selection of subwoofer polarity -- all of this on the fly! That’s bananas. I found the bass-response selector particularly useful, as the LS50W’s -6dB rating is 43Hz in Standard mode, 46Hz for “Less bass extension,” and 40Hz for “More bass extension.” This was invaluable in dialing these speakers into my living space. Alas, as flexible and improved as KEF’s app is, it was still quirky, and sometimes maddening. For instance, you can’t turn the LS50Ws off or on from the app. You also can’t control the speakers from the app unless the speakers themselves are set to the Wi-Fi connection, which can be changed only with the controls on the physical remote handset or the panel atop the right speaker. One day, I found myself unable to play anything through my linked iTunes library. While all of the library’s content was correctly displayed by playlist, artist, track, or album, selecting anything caused the app to cycle through onscreen selections without actually playing anything. I quickly opened the iTunes app -- yes, all of my songs were still there, and could be played without a hitch. The integrated Tidal interface and playback were generally strong, but there were awkwardly long pauses between the selection and playing of a song. This was also true when playing a playlist, with gaps of five to seven seconds between tunes. It would also skip songs if I tried to change a selection quickly, and if I selected several tunes one after the other, the app would freak out and tell me that music was playing when nothing was coming out of the speakers. The digital volume control was inconsistent, with laggy responsiveness, and sometimes the volume didn’t change at all. I also found that, often, when I turned the speakers on and then clicked on the KEF app, the app couldn’t find the LS50Ws. I had to quit the app and restart it before the app would again quickly link to the speakers. In all, the app holds a lot of promise, but desperately needs debugging. Whatever gripes I had with KEF’s app, they quickly faded once I’d gotten the LS50Ws playing music. 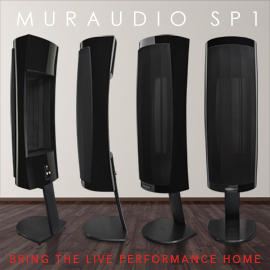 These are sensational loudspeakers. When they let rip with Adele’s monstrous vocal performance in “Hello,” from her 25 (16-bit/44.1kHz FLAC, XL), I got goose bumps at the sheer power of her singing -- I ratcheted up the volume to a Spinal Tap-friendly “11” and marveled at what I was hearing. Imaging was of the highest order: Adele’s voice hung about 8’ in front of me, a convincing facsimile of the real thing. It was remarkably clean and unfettered, with loads of inner detail, effortless extension, and unusual transparency. I’ve heard this cut through many speakers, each of which reproduces Adele’s voice differently. The KEFs sounded ruler-flat across their stated frequency range, the tweeter offering up a soaring, sparkling top end. Adele’s voice was smooth but highly resolved, full-bodied without sounding rich or sweet. Perhaps most important, she sounded identical at low volume, full blast, and everything in between. The LS50W was a flexible little critter. Mumford & Sons’ The Road to Red Rocks (16/44.1 FLAC, Island/Universal) is one of my all-time favorite albums. The band’s raw, unpolished performances of these live arrangements, and the sort of crowd noise heard only at a rock concert, make it a record that demands to be played loudly. The KEFs obliged. In “Little Lion Man,” lead singer Marcus Mumford’s voice sounded almost entirely disconnected from the cabinets of the little white KEFs, such was their purity and clarity of insight. Moreover, the soundstage was enormous. I could easily pinpoint the various layers of the sound, with quick-strummed guitar chords articulated with impressive delicacy, rattling percussion, and the whooping and hollering of the geared-up crowd peeking through from time to time. The ability to unravel a complex recording to such a degree is usually the province of hi-fi systems costing $5000 or more, not $2199. The LS50W’s midrange performance was exemplary. Its tweeter is also a peach -- and if you don’t care for the LS50W’s linear, extended treble, you can always tell the app to roll off up to 2dB of the high-frequency output (it’s adjustable in 0.5dB increments), for a more relaxed sound. You’d think a DSP loudspeaker with 230Wpc would be able to muster some seriously impressive bass performance, and the LS50W generally succeeded. With Clean Bandit’s “Symphony” (16/44.1 FLAC single, EastWest/Atlantic), a poppy track with a hotly miked female vocal (Zara Larsson), the electronic bass line was taut and punchy, exhibiting the same quality of driver control as the rest of the audioband. Which was interesting. A passive two-way design must invariably cope with the opposed aims of bass reach and bass control: gutsy bass means less control, while maximizing bass precision usually means a more lightweight sound. The LS50Ws made no such concession. I heard and felt meaningful, visceral bass. No, the KEFs didn’t offer much in the way of slam or jowls-rattling weight, but for a pair of 12”-high bookshelf speakers, they plenty satisfied me with the Clean Bandit track. When I pivoted to more challenging fare -- “The Mole,” from Hans Zimmer’s score for the film Dunkirk (16/44.1 FLAC, WaterTower Music) -- that track’s bottom octave was more conspicuously absent. While there was still some midbass energy in play, it was clear that the LS50Ws were designed to be precious instruments, with absolute linearity a key performance metric. The LS50Ws’ subwoofer output, and its adjustability via KEF’s app, will come in handy for bass hounds. To properly test the LS50Ws’ mettle, I unboxed my reference bookshelf speakers: the original LS50s. I hadn’t listened to them since receiving the LS50Ws for review, and was curious about what differences I’d hear, especially through the midrange. 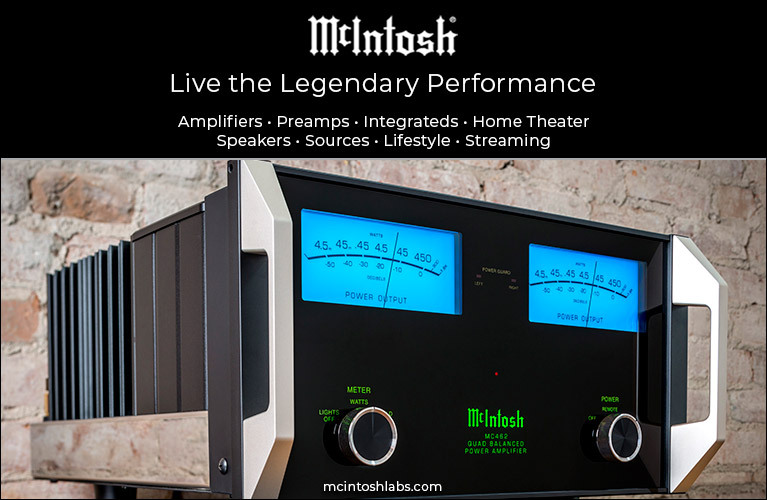 It was hardly a comparison of apples with apples -- when I hooked up the $1499.99/pair LS50s to my $5700 Hegel Music Systems H360 DAC-integrated amplifier, the total cost of the system was more than three times the LS50Ws’ price. I began streaming the aforementioned songs to the H360-LS50 combo via AirPlay. Unsurprisingly, the overall character of the sound was the same as with the LS50Ws. The extended treble response, the shockingly coherent midrange, the strong imaging -- all were there. But there were also subtle differences, some of them not for the better. With the Adele and Marcus Mumford tracks I heard similar levels of detail and resolution, but through the LS50s both voices sounded slightly fuller, and the sound was smoother and more refined overall -- though I’m still not absolutely sure of that last characteristic. The LS50s’ apparent smoothness came at the expense of outright transparency. With the Mumford & Sons cut I couldn’t hear as far back into the recording as I had with the LS50Ws. The Red Rocks venue sounded smaller, and small details were obscured. Furthermore, the image of Marcus Mumford’s voice was a touch more diffuse. What was beyond debate was that the LS50s’ bass couldn’t keep up with the LS50Ws’. With Zimmer’s “The Mole,” the LS50s produced less overall bass energy, the waves of strings and synths sounding abbreviated in impact, and what it did produce wasn’t as controlled. This looser bottom made the LS50s sound a touch lazier than the LS50Ws; the physics associated with a passive two-way loudspeaker can’t be cheated, unfortunately. Overall, I felt that my LS50s produced slightly more midrange body than the LS50Ws -- which might have had more to do with my Hegel amp than the LS50s themselves -- but that the LS50Ws were otherwise superior. They sounded bigger, more transparent, with better control of the lows. In many respects, the LS50W was greater than the sum of its parts. 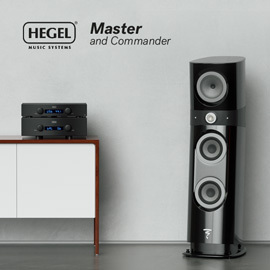 I’m confident that the electronics shoehorned into each speaker can’t match up to what’s inside my big, expensive Hegel integrated. And in both KEF models the loudspeakers themselves are fundamentally identical. Yet my traditional $7200 system couldn’t keep up with KEF’s $2199.99, all-in-one music system. I’m confused, irrationally angry, and ultimately, deeply impressed with what KEF has accomplished in the LS50W. KEF’s LS50W is an outstanding loudspeaker. Its build quality, finish, and technical prowess are beyond reproach, and its sound quality remains faithful to both KEF’s design principles and to the original LS50. That KEF has been able to stuff so much hardware and DSP know-how into one of their best-ever speaker designs and then charge only $2199.99/pair for it -- $700 more than the original -- is a mystery to me. The fact that it sounds better than the original is all the better. KEF’s iOS app needs work, but that should be easily done, and it’s the only blemish on an otherwise flawless report card. An easy Reviewers' Choice, and a welcome harbinger of things to come. Price: $2199.99 USD per pair. Warranty: Five years parts and labor; one year, active electronics.